The Kodak Alaris i4850 Scanner is built to stay busy. Busy mailrooms, production departments and service bureaus have relied on the Kodak Alaris i4850 scanner for years to deliver a valuable combination of quality, productivity and affordability. This production document scanner is designed to keep pace with the most demanding jobs and is a great choice for plowing through hours of uninterrupted scanning. Equipped with Perfect Page image processing, the scanner produces crisp, clear images even from challenging originals. Its exclusive paper feeding technology captures virtually any document in almost any condition for unbeatable reliability. Multiple layers of document protection safeguard your documents and Smart Touch technology makes multitasking easy. 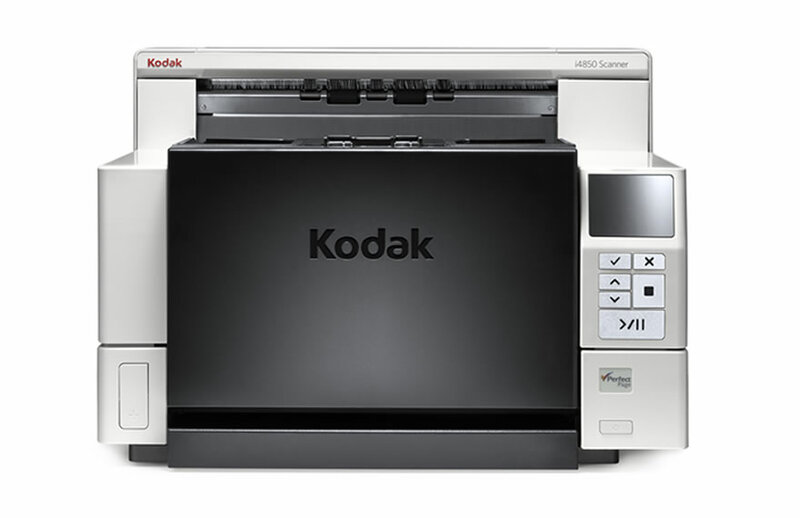 Download the complete Kodak Alaris i4850 Scanner Specifications here.